There's no school like oldschool! Join us on Sunday, July 8, on the wide sidewalk next to the old Rainbow for an Oldschool Jam with D.J. Tedsmooth and Team Straightface on the turntables. 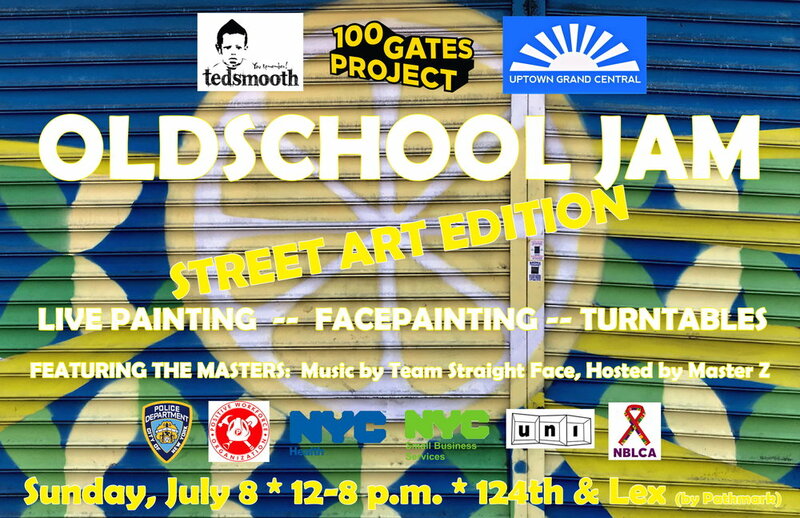 It'll be the "Street Art Edition," so we'll be celebrating the street art created in East Harlem through the 100 Gates Project -- with live painting, facepainting, art activities, gate tours & more! Register for your FREE tickets here.